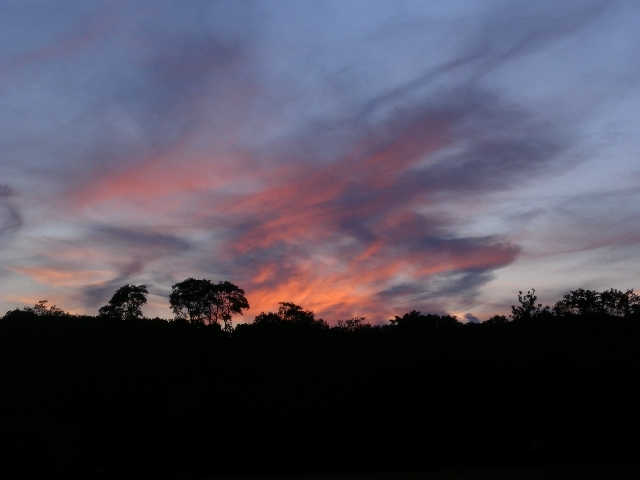 The picture below is shot from the 18th fairway looking across back to Winterthur. This was taken at sunset on Saturday, September 15th, as our staff was completing our mowing operations for the Weymouth Cup. 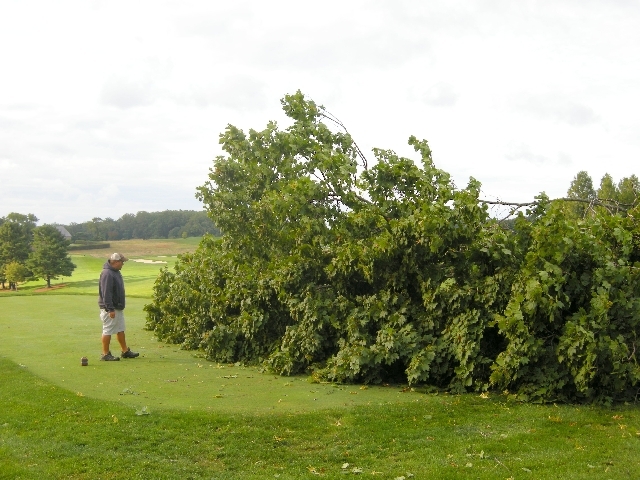 The picture below is of the Norway Maple Tree at 15 Tee takenyesterday, September 18th. 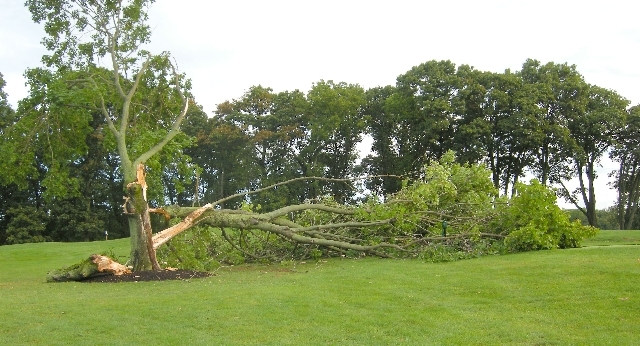 The tree split at approximately 12 PM due to high winds. The picture below is from this morning. The other half of the tree spilt and is in the process of being removed. 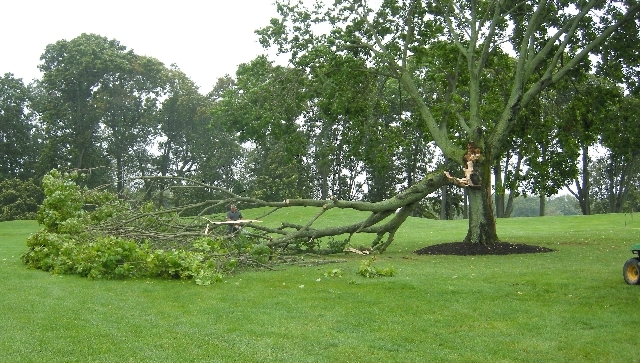 Picture below is Assistant Superintendent, Dave Smith, surveying the tree across the 15th Tee. Dave is about 5’9″ to give you a perspective to the height of the branches. The pictures below are from the last few days. The first picture is of the 6th green. 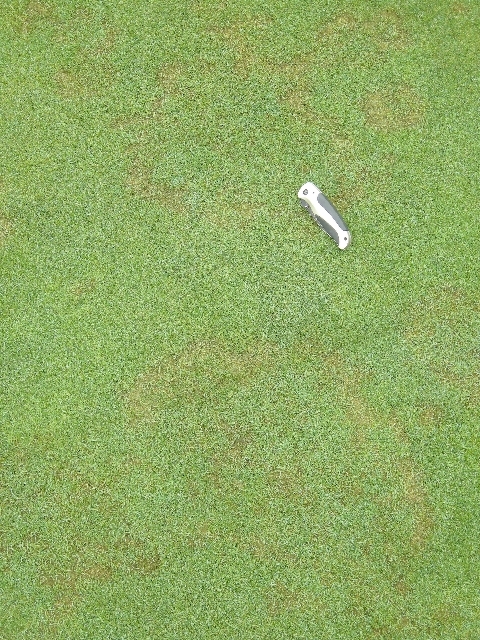 To the right of the cup, you can see signs of the Brown Patch pathogen – two circular brown rings, side-by-side.At the bottom center of the picture, there is a half brown ring. Below is a picture of the back portion of the 6th green. This picture will serve as our “control area.” We will take a picture of this exact spot each day and measure the healing process. 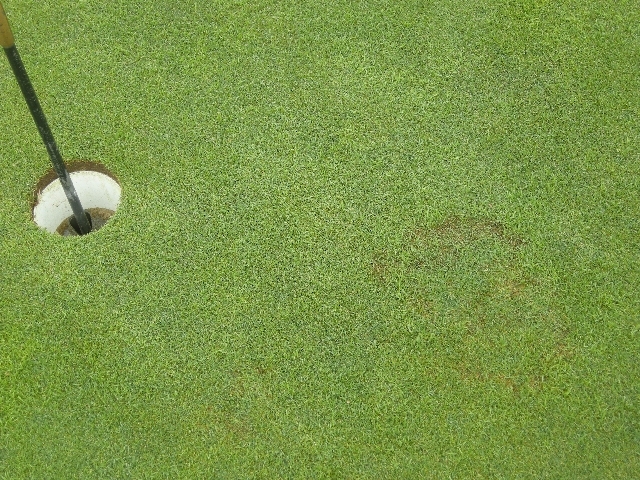 Thepicture below is also of the 6th hole. This area in the rough is just after the white pine trees on the left hand-side of the golf hole. 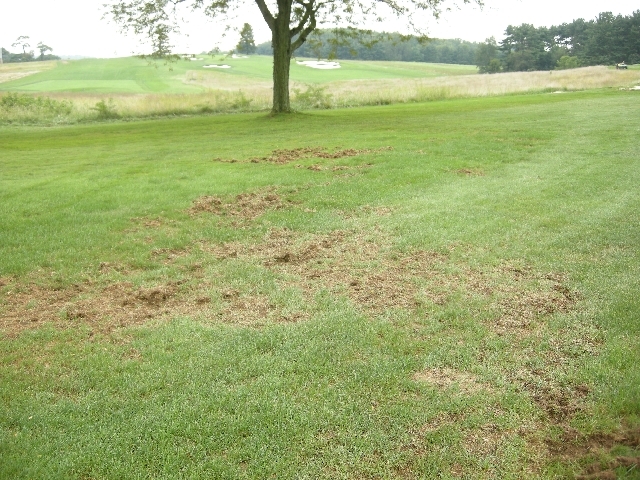 This picture depicts the damage we see in the morning from feeding animals such as raccoons and foxes looking for white grubs. 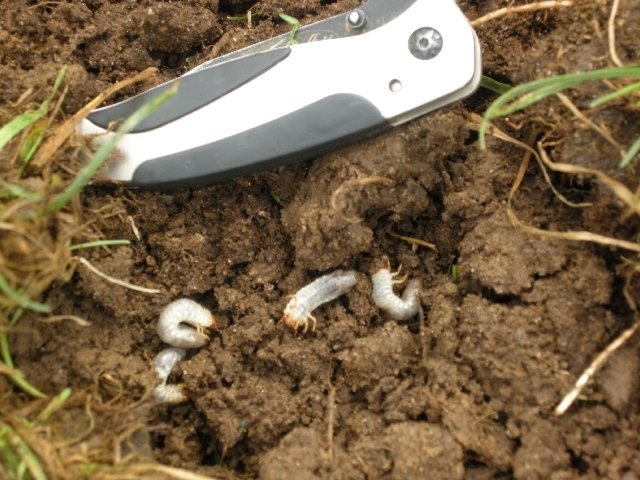 Lastly, below are the white grubs that feed on the roots of the turf and are a food source for the some of the wildlife found on the golf course.